Link here to the catalogue for Pearls of Wisdom: End the Violence, designed by Ann Gauldin and published by A Window Between Worlds. 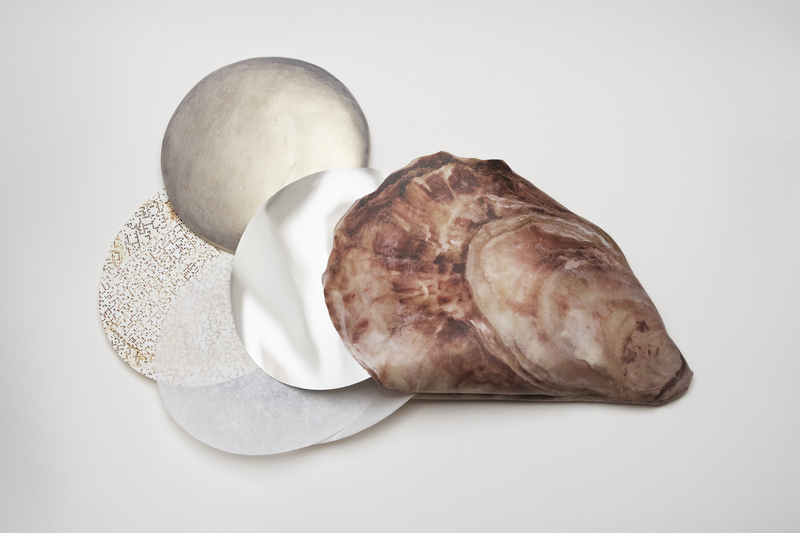 Using the metaphor of valuable pearls formed inside oysters in response to a harmful irritant, participants transformed memories of domestic pain into objects and shared texts. Eight hundred participants in shelters and workshops each shared their experiences with domestic violence in the process of making their very own pearl. They spoke their stories and wrote about their lives in order to transform their pain into books of lived wisdom for themselves, their children and their communities. These became an exhibition and several versions of books including, Handbook for Mothers and Handbook for Living. 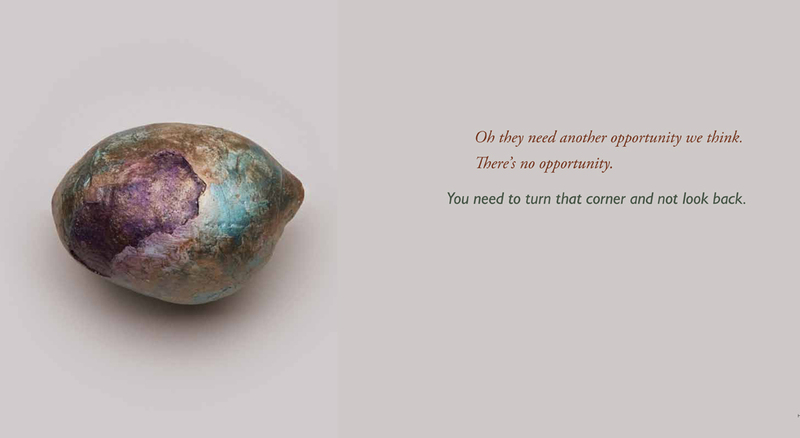 Pearls of Wisdom was created by Kim Abeles for a 2-year program facilitated by A Window Between Worlds (AWBW), a nonprofit organization dedicated to using art to end domestic violence. Abeles and AWBW’s Community Arts Advocate, Sandra Mueller, presented the Pearls project for shelters and community groups statewide. It culminated in an exhibition, blog, book and a series of events at the Korean Cultural Center in 2011, and continued to additional venues including the Skirball Museum. This project is funded by the James Irvine Foundation, and the City of Los Angeles Cultural Affairs Department. 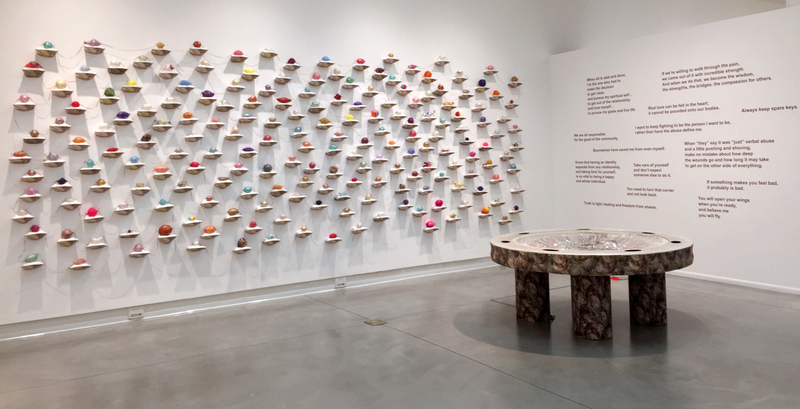 It was most recently exhibited at the Frank M. Doyle Pavilion, Orange Coast College in 2017 as part of the exhibit, Kim Abeles: ˌterə ˈfɜːrmə. 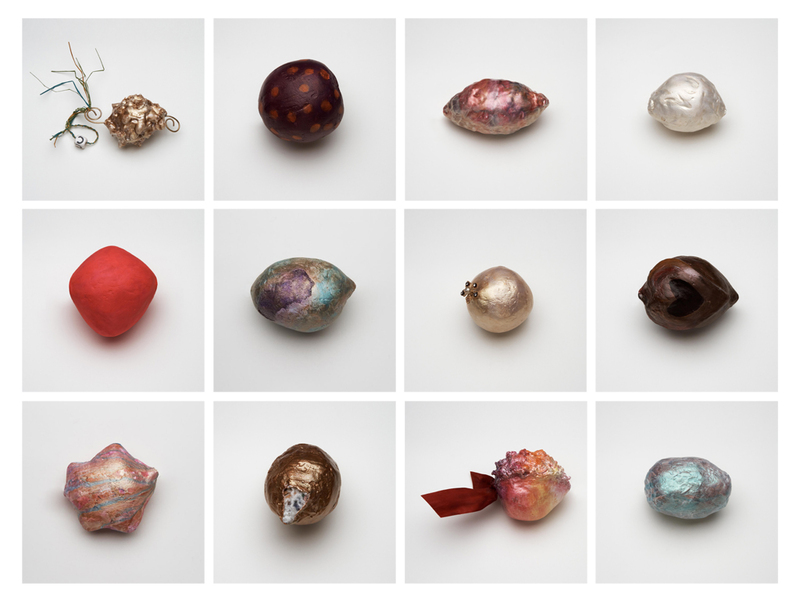 During each workshop, the making of the pearls relies on the metaphor and the visceral strength of process. The participants are invited to bring an object that symbolizes or describes their “irritant”, the abuser or an event. When participants opted to select objects and symbols at the workshop, they chose these as meaningful to their story. Mylar paper provided a reflective surface for writing or drawing. Seeing one self, mirrored back while writing, attached a unique meaning for each person. Most often, the mylar, with its natural abstraction of light, was photographed by the participant before heading to the next step, crumbling the mirrored surface with the symbols secured within. Next, the “irritant” and writing are wound up like a ball of yarn. 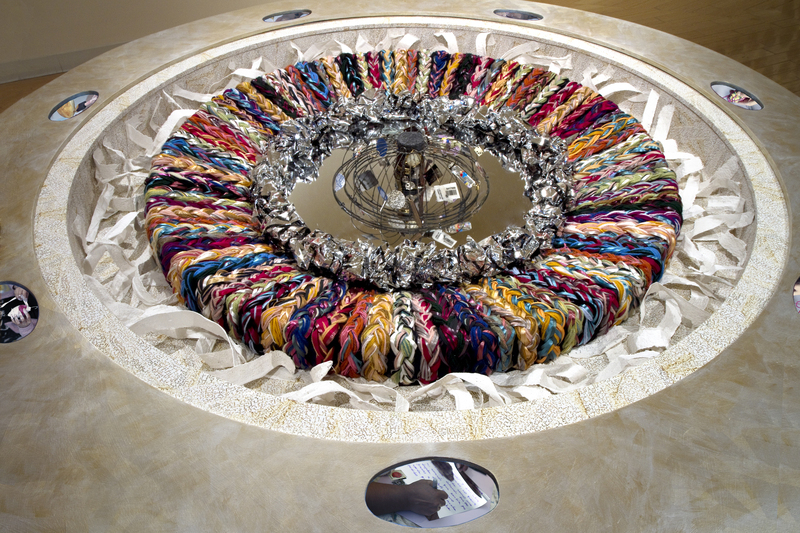 A myriad of yarns, ribbon and raffia were turned round and round, covering the shiny mass. In a natural progression, the wrapping of the fiber cords and the next step with the bandages became a place where the participants gathered around the table while they worked. The water was warm, and the plaster bandages are the type used for broken bones. Sometimes people would talk and most often they seemed in a mutual reverie, occasionally helping each other to learn the process. 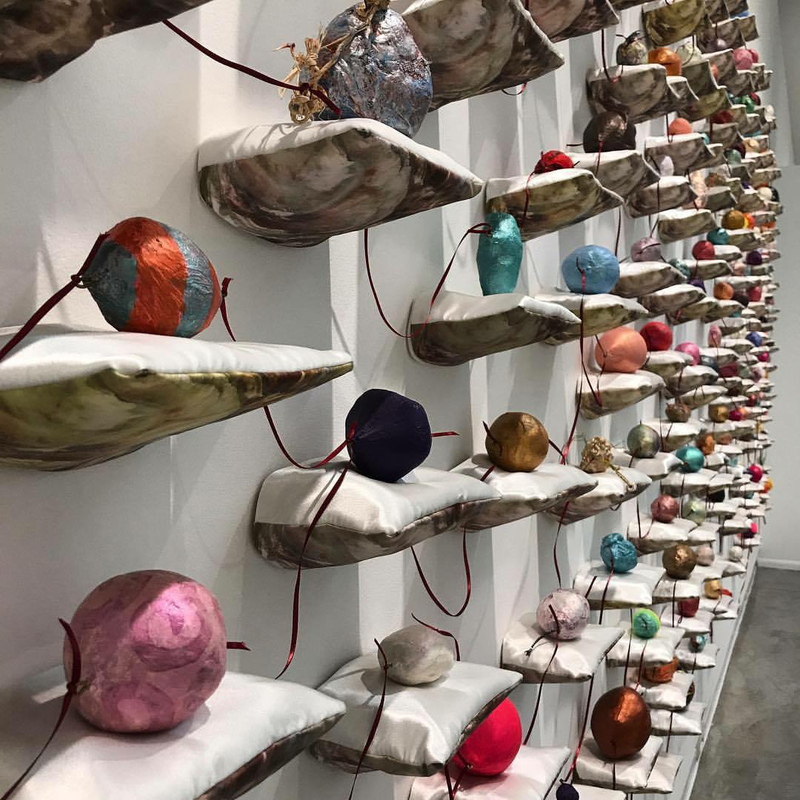 The Korean Cultural Center of Los Angeles, under the direction of curator Heeseon Choi, first exhibited the complete Pearls exhibition in the spring of 2011. 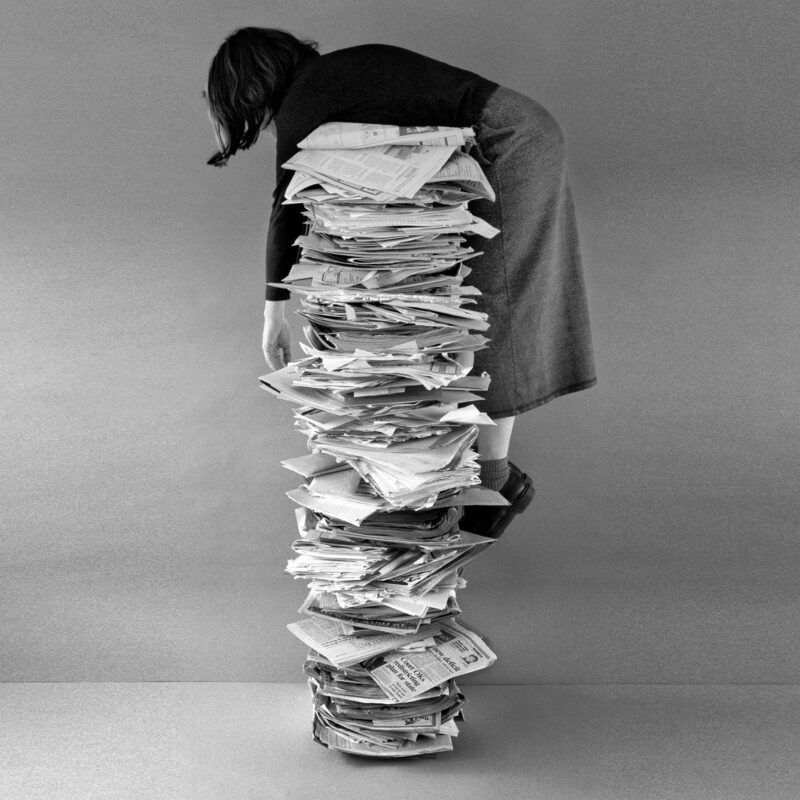 The project is supported by individual donations and a Creative Connections grant from the James Irvine Foundation, with added funding from the Department of Cultural Affairs, Los Angeles, the Durfee Foundation, the Korean Cultural Center, Los Angeles, the Los Angeles County Arts Commission, Target and the Women's Foundation of California. Added outreach for this project is made possible by Pearls of Wisdom Advisory Board.